When you tell your friends that you are going to the United Arab Emirates, they will automatically presume that you are going to Dubai. No wonder, Dubai is definitely the most famous AND liberal one, but it´s neither the capital of the Emirates nor the richest, and it doesn’t even have the best beaches (according to me). There are six other Emirates that make of the Federation of the U.A.E, and they have something to offer that Dubai doesn’t. Emirate of Abu Dhabi is by far the largest of the 7 Emirates and the capital of the federation. 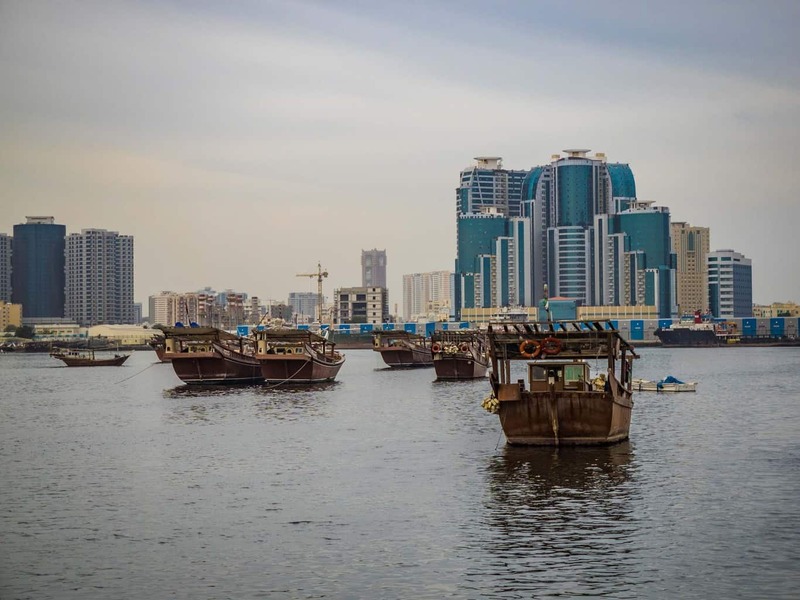 Emirate of Ajman is the smallest of the Emirates. Emirate of Dubai is arguably the most famous one. Emirate of Fujairah is the easternmost and the only Emirate that does not have a coastline along the Persian Gulf. Emirate of Ra’s al Khaymah is the northernmost Emirate. Emirate of Sharjah the only one that has Persian Gulf Coast and the Gulf of Oman. Emirate of Umm al-Quwain is the least populous of the Emirates. The most important thing I learned after visiting all the Emirates, is that the U.A.E has a lot more to offer than the shopping malls and fancy hotels in Dubai. But that distances are HUGE in the U.A.E, and it´s easy to get stuck in a traffic jam. Most of the U.A.E is Desert. You will need a private vehicle since public transportation is very limited. 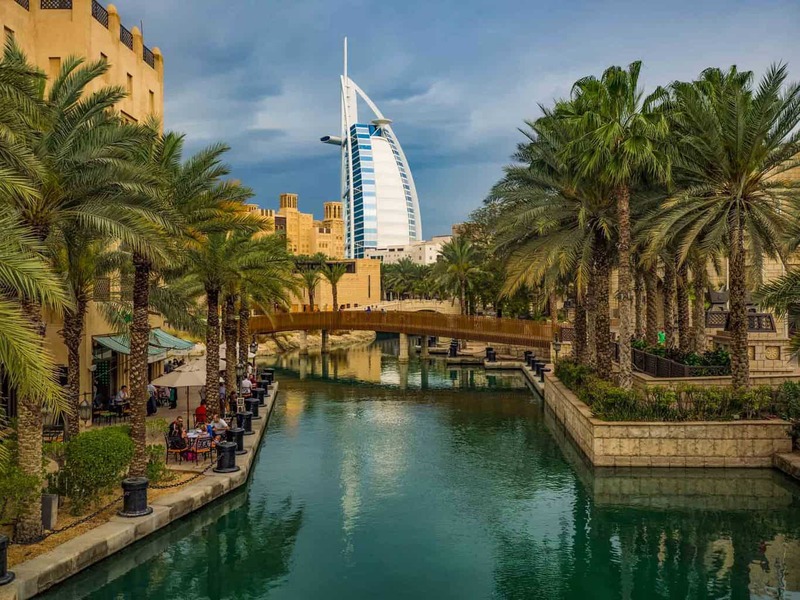 I had ambitious plans about visiting all seven Emirates in just one day together with two friends, but we gave up that plan as we did not want to rush our journey and experience. Sheikh Zayed Mosque, the largest mosque in the UAE. Distance from Dubai? Abu Dhabi which is the capital of the UAE is located 130-km from Dubai and can be reached in about 90min on the great eight-lane highway that connects the two Emirates. Reason to Visit? 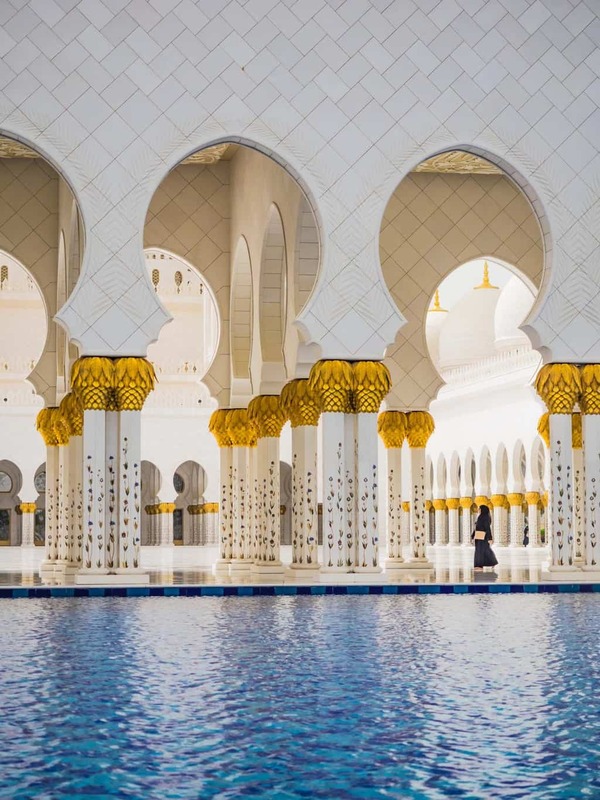 The main reason tourist comes to Abu Dhabi, except for when the Formula 1 race is held, is to visit the Great Sheikh Zayed Mosque. It is the largest mosque in the United Arab Emirates and currently the eighth largest mosque in the world. 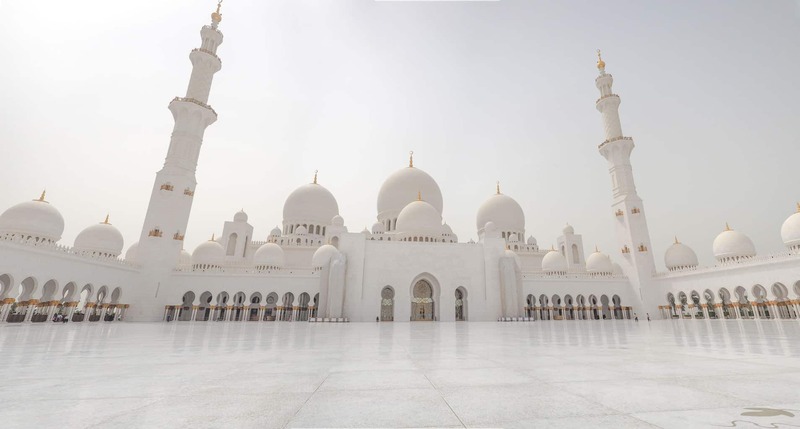 The Mosque is named after Sheikh Zayed bin Sultan Al Nahyan, the founder and the first President of the United Arab Emirates, who is also buried there. 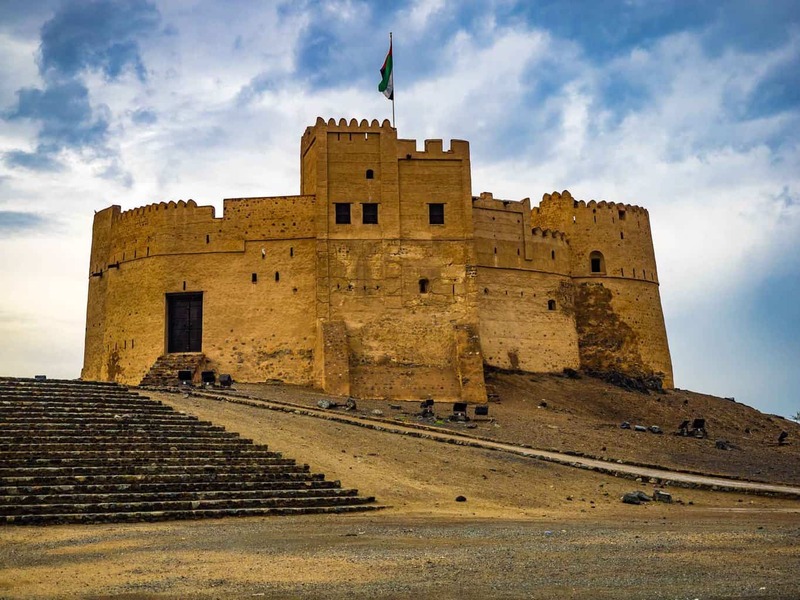 Click here to read best things to do in Abu Dhabi tour. Famous for? Being the smallest of all the Emirates, Yes that´s all it´s famous for. Distance from Dubai? It is only 10 Km away from Dubai and located on the northern border to Sharjah. It shouldn’t take more than 20minutes on the highway to reach Ajman from Dubai if the traffic is good. Reason to Visit? The one and only reason tourists come here is if you’re set to complete your visits to all the seven Emirates. Famous for? Fancy Shopping malls and hotels, swanky nightlife, food, the world tallest building, artificial islands and a lot more. Reason to Visit? To visit one of the most modern city´s in the world and see for yourself what the hype is all about. Head to The Palm or visit the world´s tallest building, or try to count all the sports car´s you see in a day. Wondering where to stay in Dubai? click here for the best guide to where to stay in Dubai. Famous for? Clear waters, the best beaches and diving, Fujairah Fort and the oldest mosque in the Emirate. It also the farthest and the most remote from all the Emirates. Distance from Dubai? 170Km, roughly at 2-hour scenic drive if you are lucky with the traffic leaving Dubai. Reason to Visit? 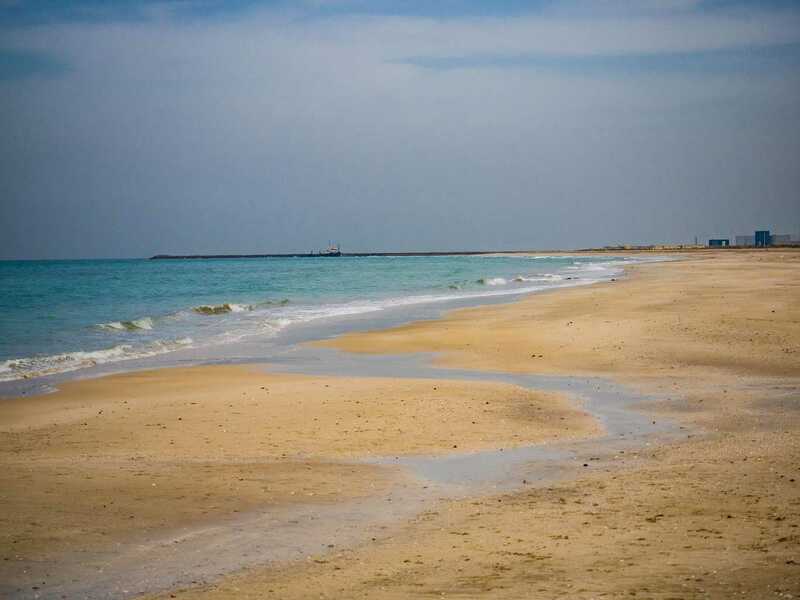 Fujairah is a famous weekend getaway for the expats living in Dubai that want to enjoy the best beaches in the Emirates. Unfortunately, the best beaches are owned by the big resorts and you will have to pay to use them. 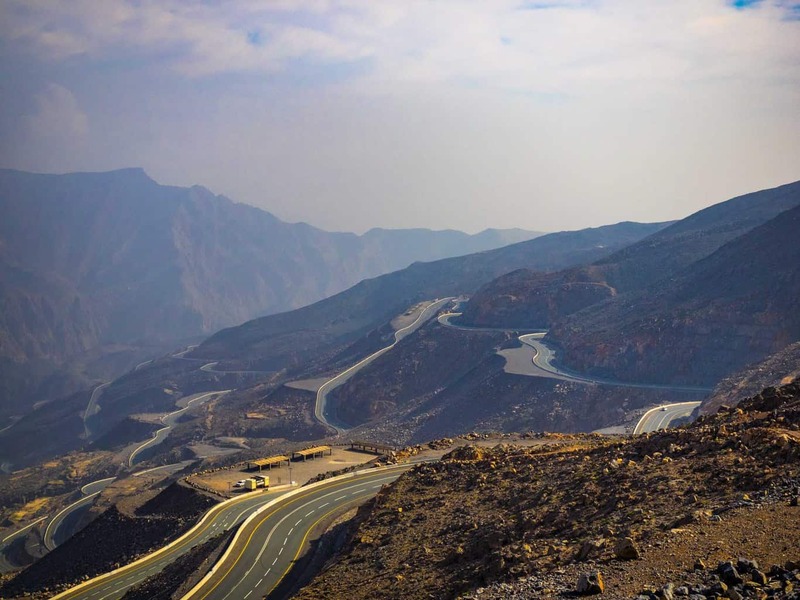 The Road to The Hajar Mountains. Famous for? The Hajar Mountains and Hiking. Distance from Dubai? 155 KM, around 2hours drive. Reason to Visit? If you are tired of being on the beach or in the big citys´, head to the mountains for some hiking to relax away from the hustle and bustle. It is famously known as Jebel Jais. 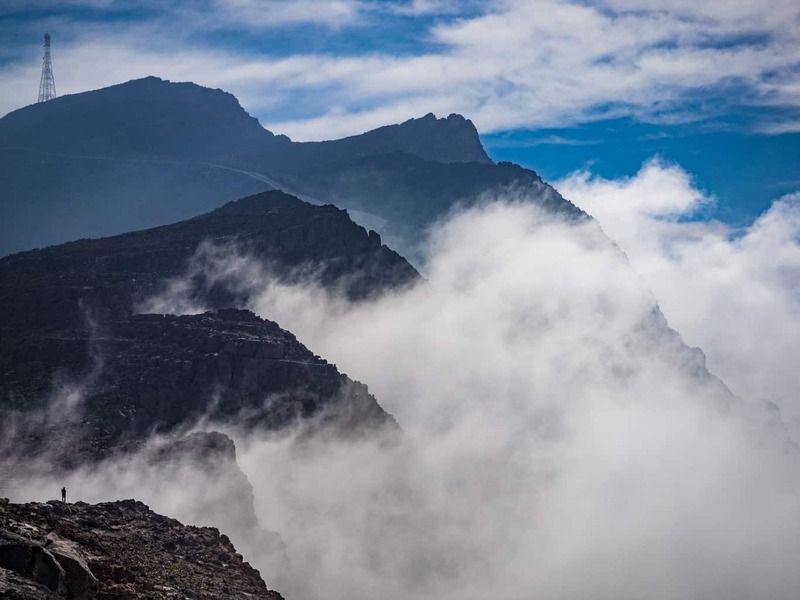 Close up with the clouds in The Hajar Mountains. Famous for? The strictest of the Emirates which follows the sharia laws stricter than any of the other Emirates. There is no alcohol sold in this state, not even in resorts, and you are technically not even allowed to transport alcohol trough this Emirate. It´s also called the cultural Emirate and it´s the best Emirate to visit if you want to get a glimpse of the authentic Arab life. Distance from Dubai? 40 Minutes. Sharjah has almost grown together with Dubai, So if you driving, you wouldn’t know if you were in Sharjah or Dubai if not for the signs. Sharjah is more or less a suburb for Dubai these days. Reason to Visit? Some of the best Museums in the U.A.E are located in Sharjah. Sharjah is also a lot cheaper than Dubai when it comes to living cost. 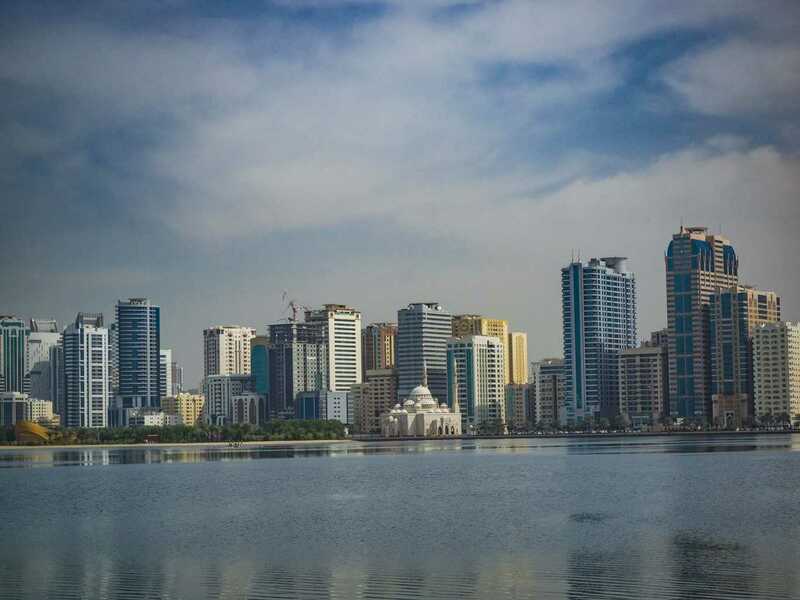 So if you are on a tight budget, Sharjah will be a better option for you than Dubai. Famous for? Birdwatching and recently being the last Emirate to get big resorts. Distance from Dubai? 80km about an hour drive if the traffic is light. Reason to Visit? Umm al-Quwain is kind of the “anti-Dubai.” Walking around the old city will remind you of being more about being in the southern India, with small rusty streets with potholes. Umm al Quwain would be what Dubai was 30 years ago. But a big surprise was that the best beach I came across my trip to the Emirates is located here. 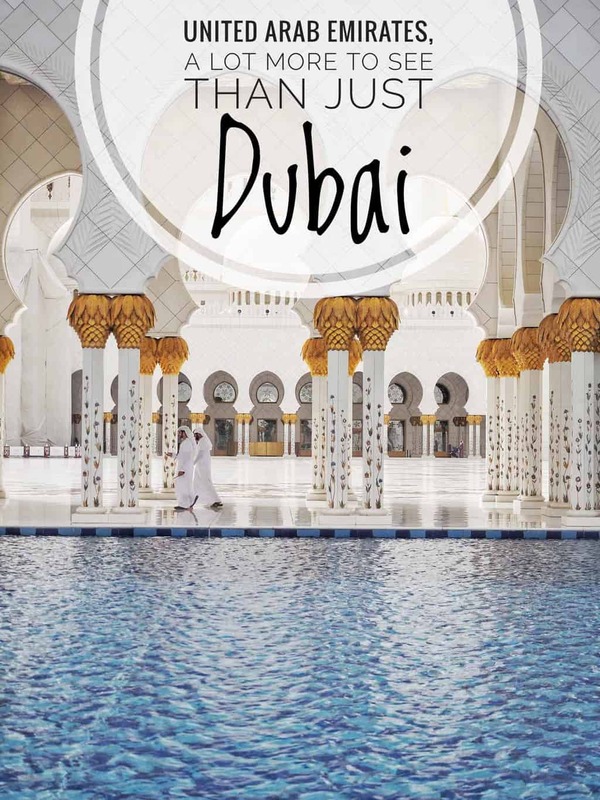 I love the UAE and you’re right….there’s so much more than Dubai! I totally agree with you! I lived in Dubai for a few years, visited all the Emirates and surprisingly, even many expats who had lived there for a long time, didn’t visit anything beyond Dubai and the Sheikh Sayed Mosque of Abu Dhabi. 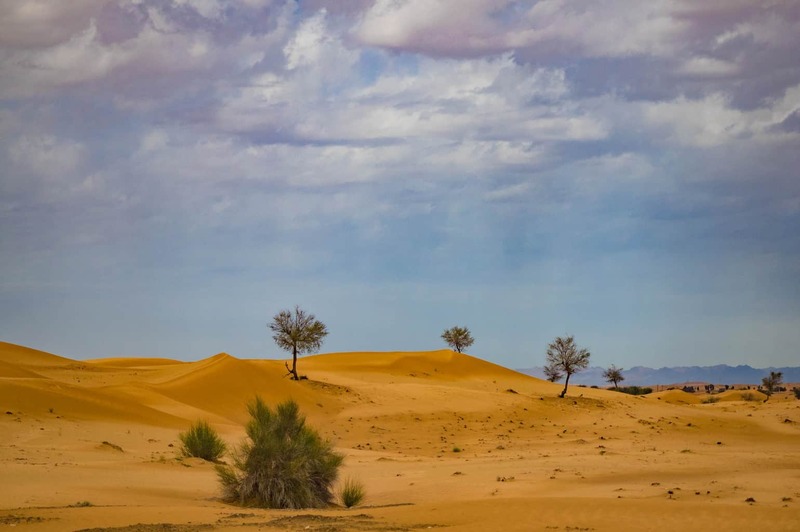 By the way, Abu Dhabi is also famous for having Liwa Oasis (containing one of the highest dunes in the world, around 200m) and the beginning of the Empty Quarter. 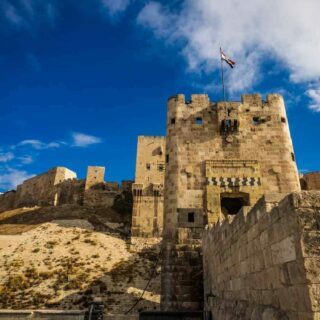 These were my favorite country spots! I almost had the same feeling; okay, Dubai is big, populated, advanced, have more resorts, malls, and restaurants (I guess). But where is nature? Haven’t been to Abu Dhabi but managed to see all the other states. and they’re all awesome. Awesome piece, great overview of the Emirates. Stunning photography as well! This is absolutely breathtaking! I learned so much! I love your photos, thank you for sharing!